Made of leather-look material. 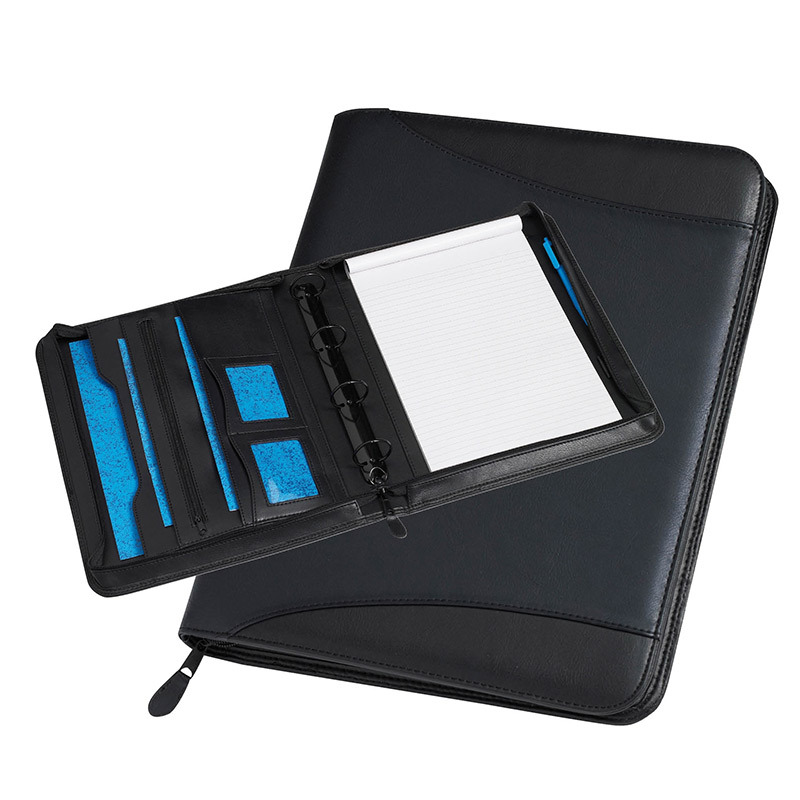 On the left hand inside cover there are various pockets for business card and A4 documents.In the middle of the folder there is a permanent,black mechanism. On the right hand inside cover there is an A4, 50 page,lined writing pad.The folder closes with a zip. Dimensions : 29(width) x 36 (height) cm .